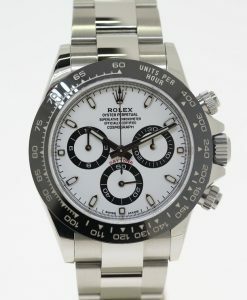 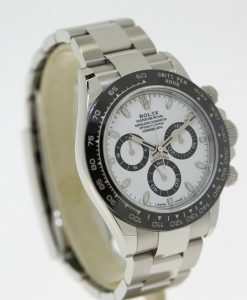 Rolex Oyster Perpetual Daytona Cosmograph ref 116589RBR, white gold with original diamond bezel and dial, full set. 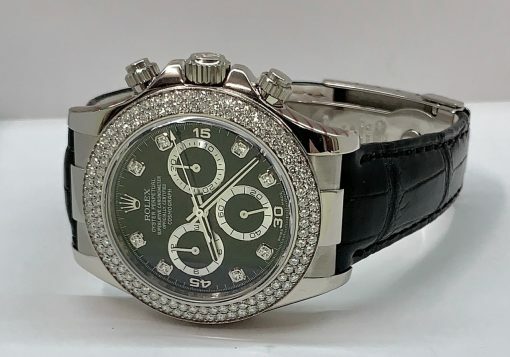 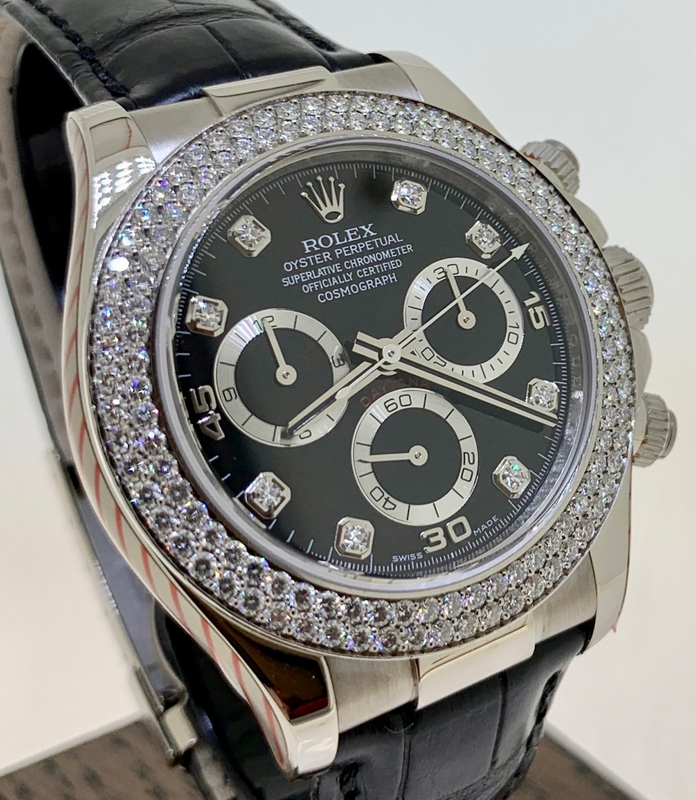 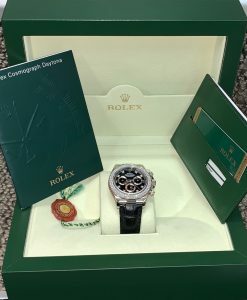 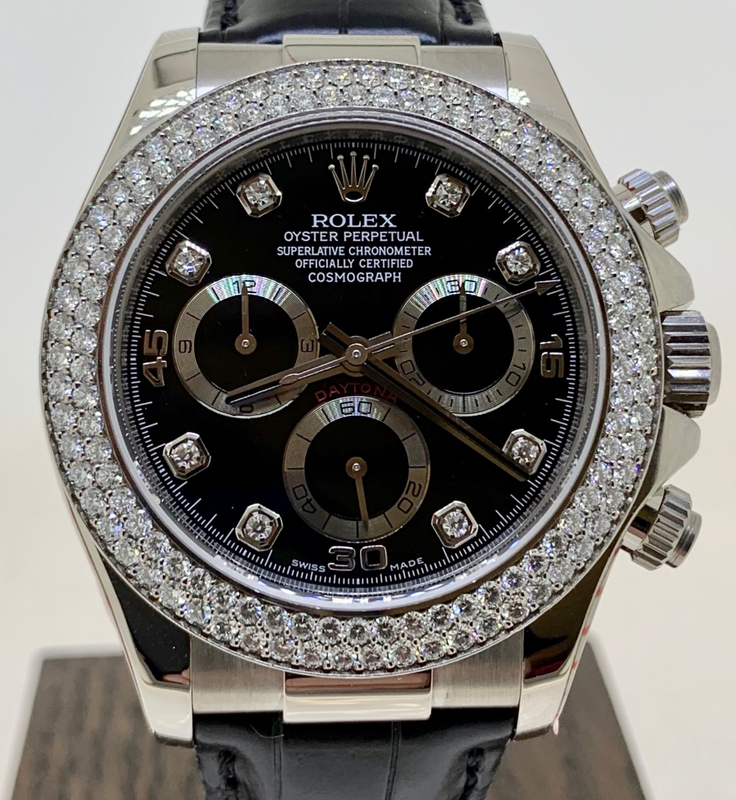 Send Enquiry for Rolex Oyster Perpetual Daytona Cosmograph ref 116589RBR, white gold with original diamond bezel and dial, full set. 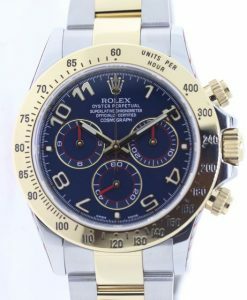 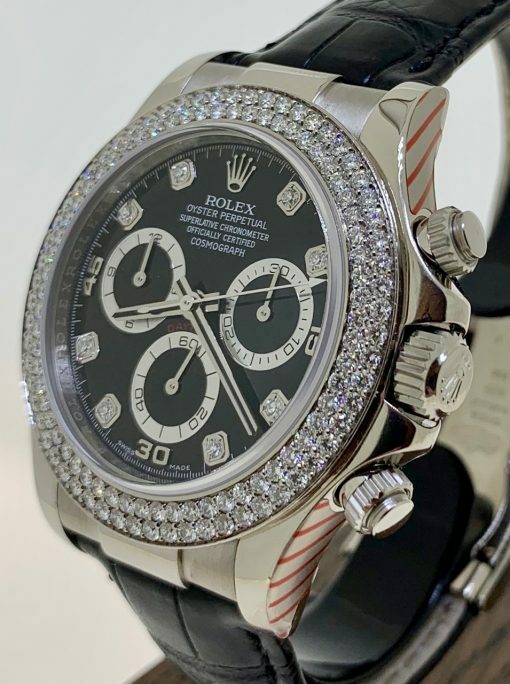 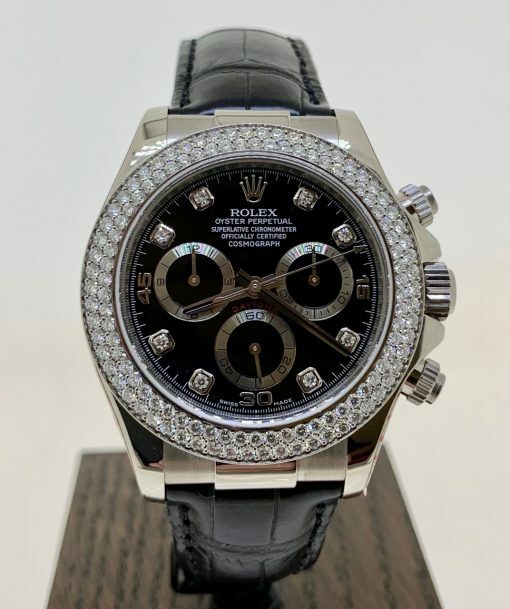 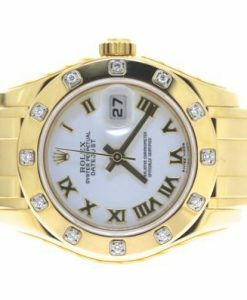 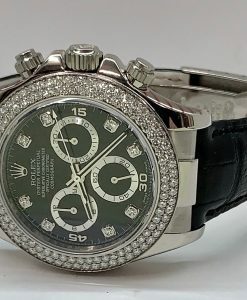 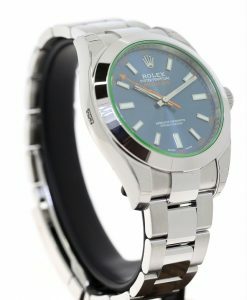 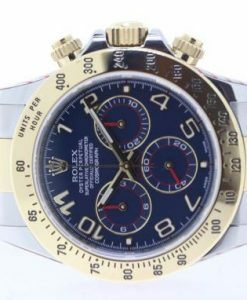 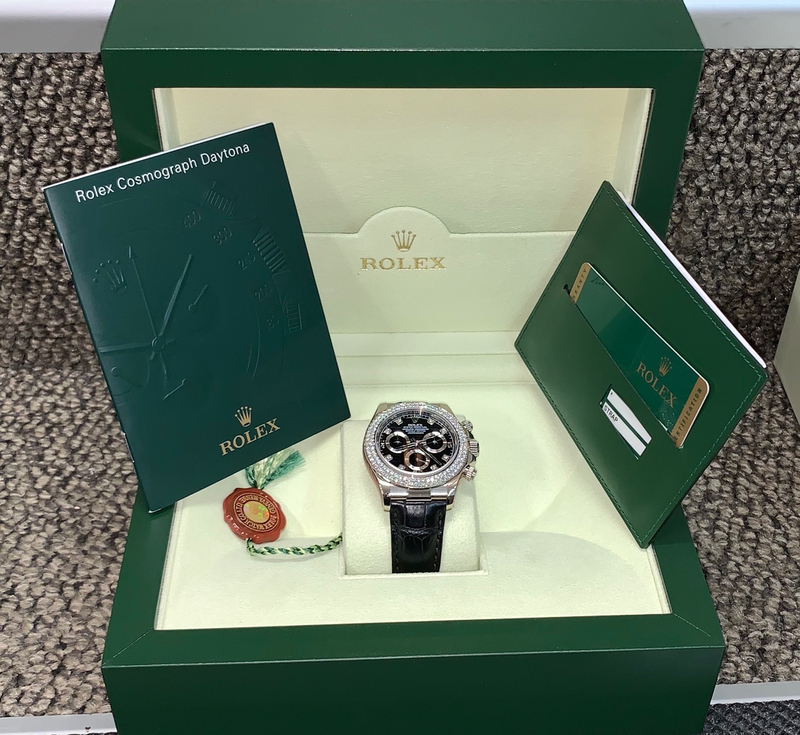 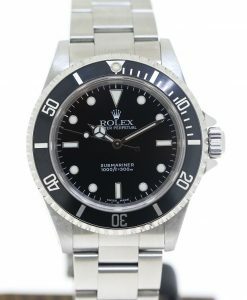 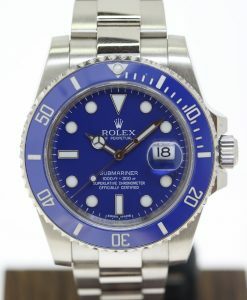 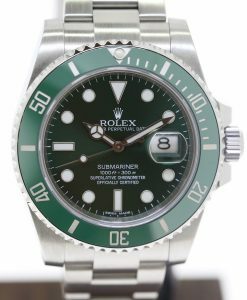 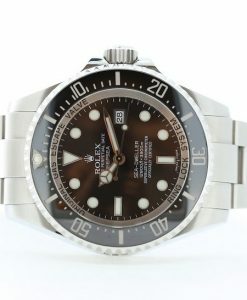 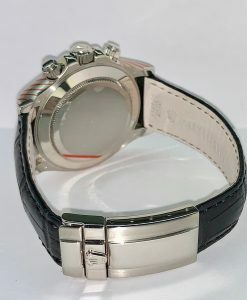 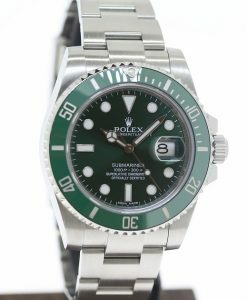 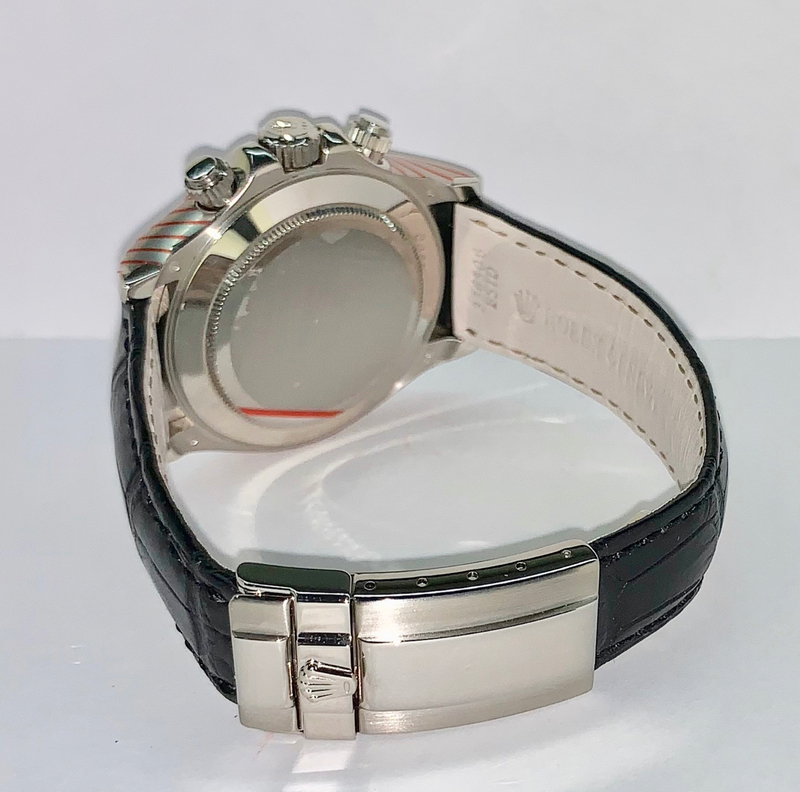 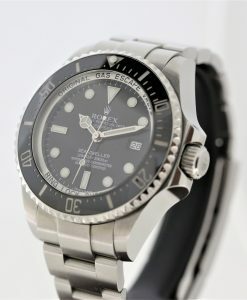 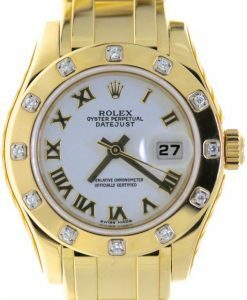 balance of 2 year Rolex service warranty dated 19th March 2019. 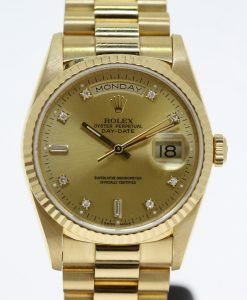 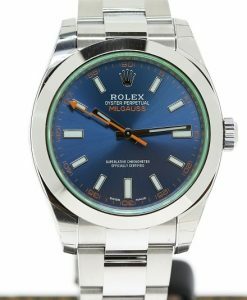 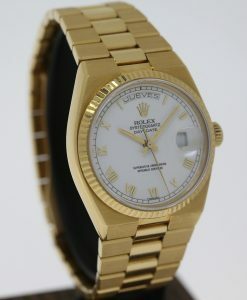 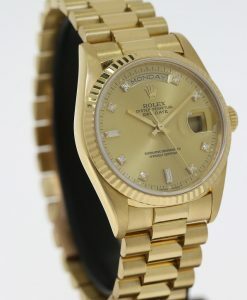 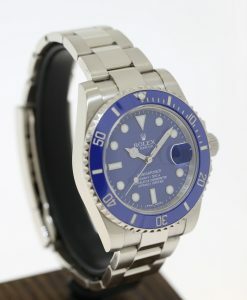 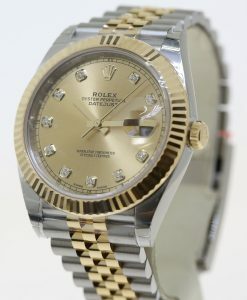 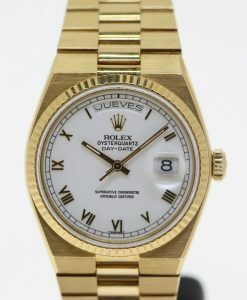 Originally sold with a pink M-O-P dial. 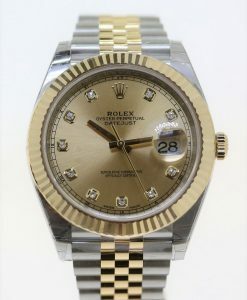 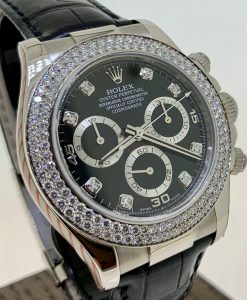 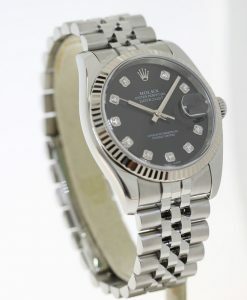 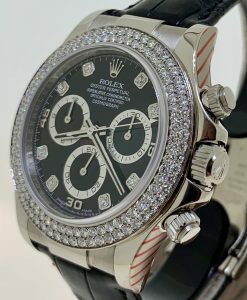 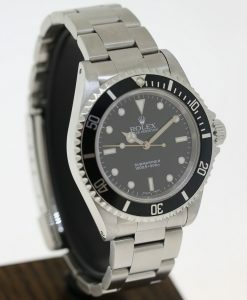 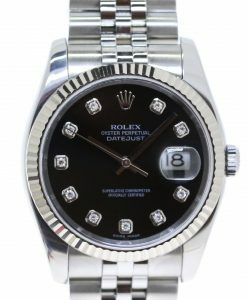 We had Rolex fit a brand new black diamond dial. 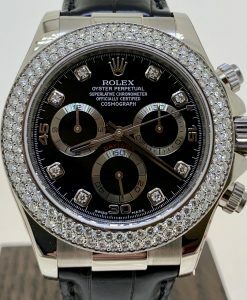 Full set and just had major service with Rolex.